Phu Quoc has many tourist attractions can not be ignored when coming here. With clear blue water beaches like Bai Sao and Bai Dai, Bai Khem ... Phu Quoc is truly a paradise for those who love the sea. Tho Chu (Thổ Châu or Thổ Chu in Vietnamese) is the largest island of the Gulf of Thailand. In the West, the island is also known as Poulo Panjang. 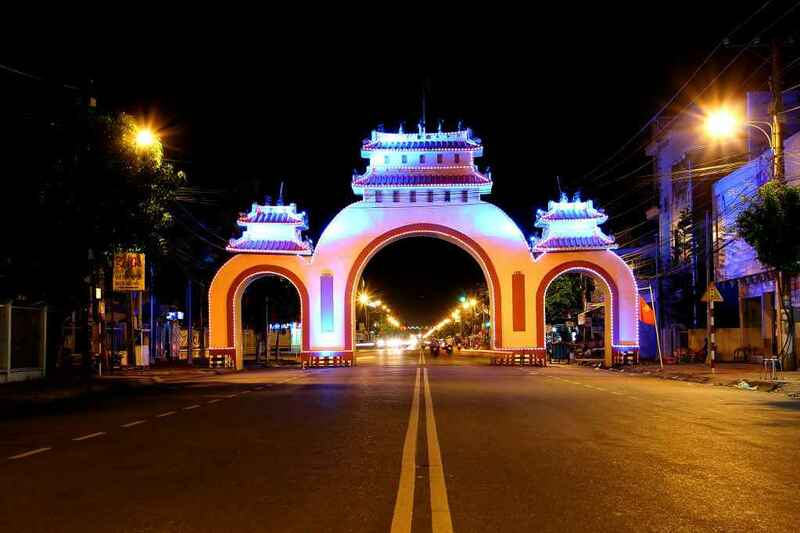 My Tho is a city of Tien Giang Province. It’s located on the North side of the downstream of Tien River. Vinh Long is a province in Mekong Delta, Southern Vietnam. The province is located about 135km from Ho Chi Minh City to the north and 33km from Can Tho City to the south along National Route 1. Ho Chi Minh City is the largest city in Vietnam. Under French colonial rule, the city was referred to as Saigon, a name that is still often used today. Rach Gia is a provincial city and the capital city of Kien Giang province, Vietnam. It is located on the eastern coast of the Gulf of Thailand, 250 kilometres (160 mi) south-west of Ho Chi Minh City. Ha Tien is a district-level town in Kiên Giang Province, Mekong Delta of Vietnam. Ha Tien is a popular tourist site of the region thanks to its beautiful beaches and landscapes. Chau Doc is a city in An Giang Province, bordering Cambodia, in the Mekong Delta region of Vietnam. Can Tho is the fourth-largest city in Vietnam, and the largest city in the Mekong Delta.